Things are getting worse for Carlos Ghosn (former Nissan CEO and leader of Renault-Nissan-Mitsubishi Alliance), who remains in detention in Japan. Nissan announced that it filed a criminal complaint against Ghosn - "on the basis of Ghosn’s misuse of a significant amount of the company’s funds" (see full press release below). It's the third set of indictions, which will prevent the release Carlos Ghosn. Nissan seems to be very hostile against its former CEO in two ways - first, by placing a complaint on the day of upcoming release (which makes us think that it wants to extend detention to maximum, like the prosecutors) and second because it "calls for strict penalties". The 64-years old Ghosn, who is, by the way, a U.S. citizen, has been in detention since November 19, and is rejecting all allegations (basically every day). He is not even allowed to contact family and every day is interrogated. The situation already caused him to lose 10 kg of weight and according to the to latest reports - he is tired and “suffering from a high fever at the detention center in Tokyo”. Ghosn's Lawyer said that he expects that the first trial (out of three) will start maybe in six months. We are not sure whether there is a chance for bail. The Japanese justice system gives prosecutors extreme power and when they arrest someone, the chances he/she will be called innocent and released is maybe 1%. Detention is extended indefinitely, which seems to make for a massive amount of false confessions - "99% conviction rate for criminal indictments" says all. Prosecutors act like that to not lose face on false allegations - in other words, they are encouraged by the system to literally destroy suspects (which is explained broadly in one of videos below). The guilt of Carlos Ghosn is not proven and not certain. We are not even sure whether it's important, as many reasonably argue that the whole thing is a duel between Nissan/Japan and Renault/France to prevent a full merger and acquisition of Nissan by Renault in the future. Ghosn, who once rescued Nissan as CEO, assigned by Renault, would be in such a scenario sacred to take over the company from Japan. Which scenario is true, and why does Nissan (who internally started the case) seem to be hostile to Ghosn? Time will tell. Only one thing is certain, the Japanese justice system is not acceptable. YOKOHAMA, Japan – Today, Nissan Motor Co., Ltd.’s former Representative Director and Chairman Carlos Ghosn was indicted for aggravated breach of trust under Japan’s Companies Act. 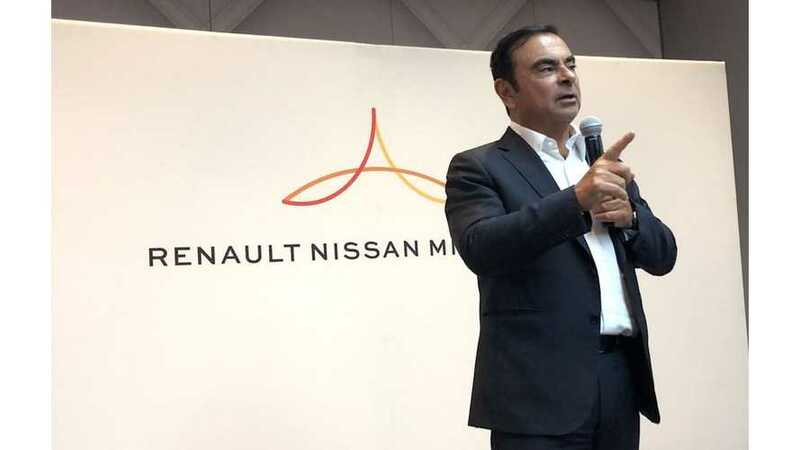 Prior to the charge being laid, Nissan filed a criminal complaint based on the same violation against Ghosn with the Tokyo District Public Prosecutors Office. Nissan filed the criminal complaint on the basis of Ghosn’s misuse of a significant amount of the company’s funds. Nissan does not in any way tolerate such misconduct and calls for strict penalties. Nissan is continuing its own internal investigation into potential illegal expenditure of its funds. Also today, Ghosn and former Representative Director Greg Kelly were indicted for violating the Japan Financial Instruments and Exchange Act, namely making false disclosures in annual securities reports. Nissan, as a legal entity, was also indicted for the same violation. Nissan takes this situation extremely seriously and expresses its deepest regret for any concern caused to its stakeholders. Nissan will continue its efforts to strengthen its governance and compliance, including making accurate disclosures of corporate information. The efforts will be made in consideration of the discussions and recommendations of the company’s recently established Special Committee for Improving Governance. November 22 – The board of directors for Nissan removed Carlos Ghosn and Greg Kelly from Representative Director positions (Ghosn was also Chairman of the Board). November 26 – Mitsubishi Motors removed Carlos Ghosn from his role as Chairman of the Board and Representative Director, following Nissan. December 21 – Carlos Ghosn was re-arrested on a new allegation of making Nissan shoulder $16.6 million in personal investment losses. Kelly was not included so he was released from jail on December 25 after being granted bail. December 31 – The Tokyo District Court extends Carlos Ghosn’s detention by another 10 days to at least January 11.